Making planets and spacescapes has always been a popular activity among Photoshop lovers and we here at Photoshop Freebies enjoy hunting for tutorials on how to create your very own Universe using Photoshop. 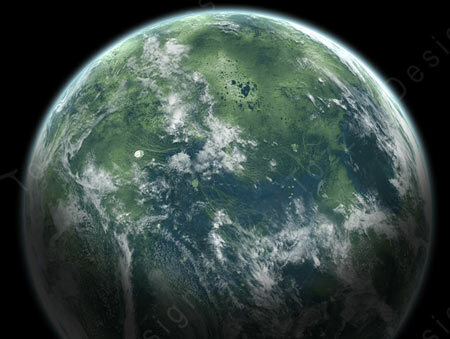 Today, we present a simple tutorial from Tozzy Design on how to create a realistic looking planet. You can view the Photoshop tutorial here.